Break up chuck to increase surface area for seasoning. Sprinkle salt and pepper over meat and toss lightly with hands to distribute. Divide meat into 4 equal portions (6 ounces each). With cupped hands, toss one portion back and forth to form a loose ball. Pat lightly to flatten meat into a 1 inch thick burger that measures about 4-1/2 inches across. (Do not over-handle meat or your burger will be tough). Pressing down with your thumb, or with the back of a measuring spoon, make a ¼ inch depression in the center of each patty, creating a shallow well. (This makes them come off the grill flat, not puffed in the center). Repeat with remaining portions of meat. Heat a well-seasoned large cast-iron skillet over moderately high heat until it is hot, sprinkle it evenly with the coarse salt, and in it cook the patties, covered, for 4 minutes on each side for medium-rare meat. 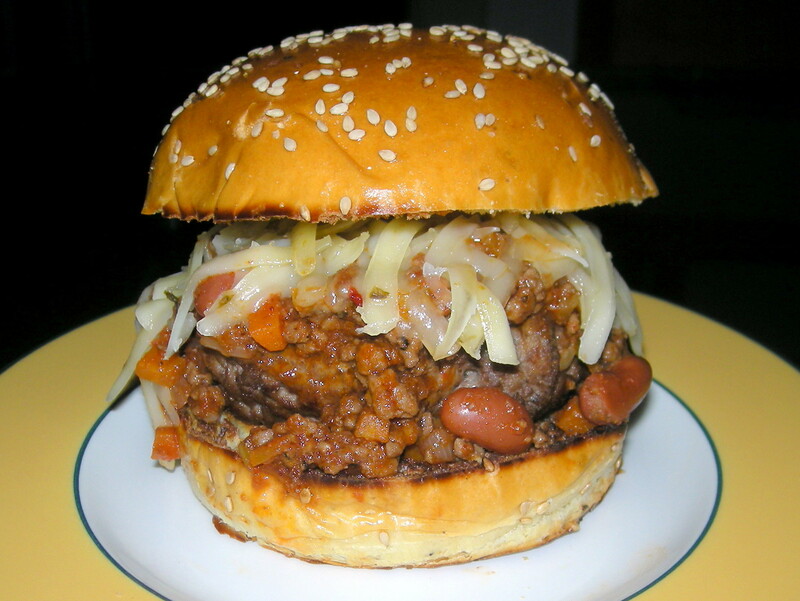 Spread several tablespoons chili over each grilled burger, top with shredded pepper jack cheese, cover and let melt, about 2 minutes. Serve burgers immediately. NOTE: For those misguided souls who like their burgers well-done, poking a small hole in the center of the patty before cooking helps the center to cook before the edges dry out. 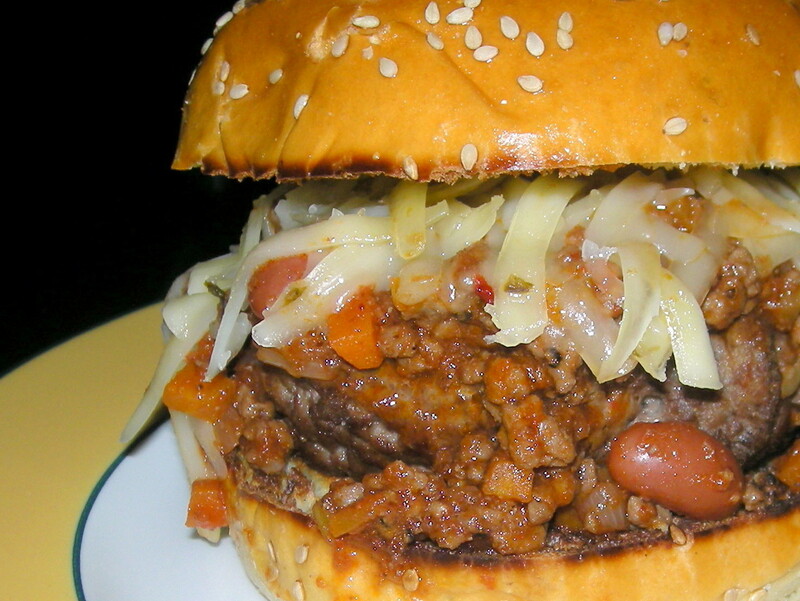 Posted in Burger, ChiliBookmark the permalink.